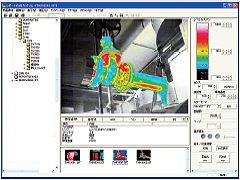 Thermo Tracer TH9260 | Infrared Thermography | NIPPON AVIONICS CO.,LTD. Image resolution is four times higher than 320 x 240 detector. 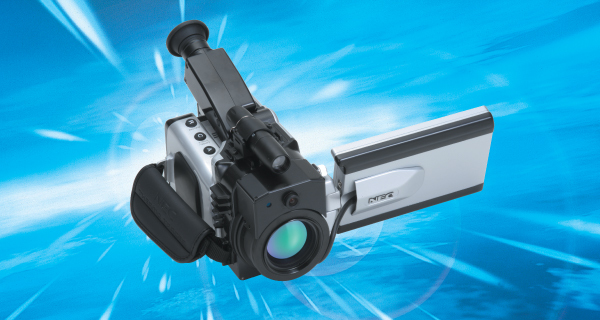 Wide 5.6" LCD & viewfinder for clearly visible image at both indoor and outdoor. High quality visual camera at 1.3 Mega pixels. 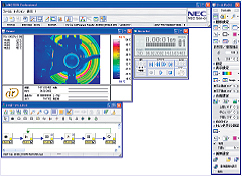 Simultaneous recording of thermal & visual images. Easy identification of location and data management. Target illuminator provides light for visible camera where condition is dark. For easy determination of measuring spot. Voice recording available up to 30 seconds per image.